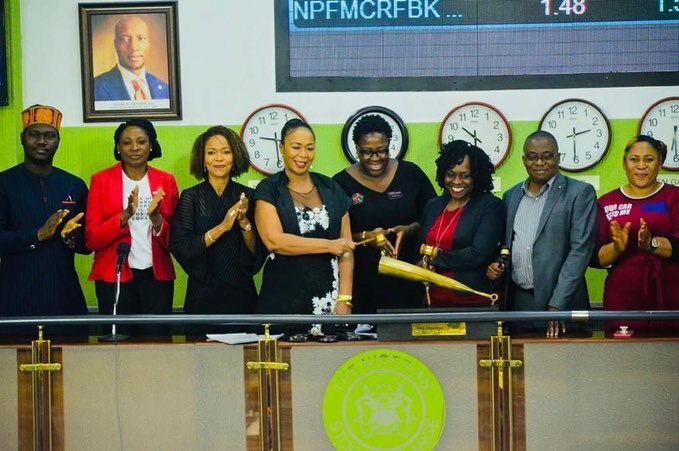 To mark International Women’s Day and the commencement of the #WARIFNoTolerance campaign, our founder, Dr Kemi DaSilva Ibru gave a Disruptor Speech followed by the “ringing of The Closing Bell” at The Nigerian Stock Exchange to reiterate the prevalence and consequences of violence against women to both the woman and her society. WARIF x SAP Solutions – Using Technology to Address Issues of Gender Based Violence. WARIF MAKOKO COMMUNITY OUTREACH sponsored by @usaid and in partnership with @slum2school . Join the “No Tolerance” campaign!